In the past, people used to activate WhatsApp without a phone number or SIM card by using temporary phone numbers like the ones offered by Textplus. However, the number provided by Textplus expires after about a year or if the app is not actively used. In which case, you are in need of a new number and your existing number might be assigned to someone else. 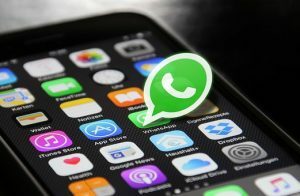 If two people end up with the same phone number and you both have WhatsApp setup in the phones, then the account will require verification and the person in possession of the number will be the only one who will be able to verify it. Don’t worry, if you don’t have an active mobile phone number. You can activate using your home landline phone number if you have one. To do this, simply enter the country and the area code of your home number during WhatsApp setup/verification process. Then, choose the Call Me option for the verification pin number or if it’s not available, use the SMS option a few times until the process fails and the Call Me option becomes available. WhatsApp will dial your home number pretty much immediately and an automated voice will provide you with your verification pin number. Write it down. Now enter the verification code in WhatsApp and you are all setup to use the app!